EXCEPTIONAL VALUE LUXURY PROPERTY. If you are looking for exceptional value in a luxury property, look no further. THIS IS IT! Embraced by over 7 glorious acres, this magnificent lakefront estate is a haven of elegance and tranquility. The residence, a stunning brick Georgian Colonial, is an architectural tour-de-force where quality, craftsmanship and meticulous attention to detail permeate every aspect of its gracefully proportioned 8400-sf interior. Imbued with a timeless splendor, its 16 main rooms encompasses sophisticated formal spaces, sumptuous family areas, five bedrooms & seven full and two half baths exquisitely appointed with extensive millwork, dramatic ceilings, lustrous hardwood floors, five masonry fireplaces, custom finishes, recessed lighting, the discerning use of rich stone, and luxurious amenities. 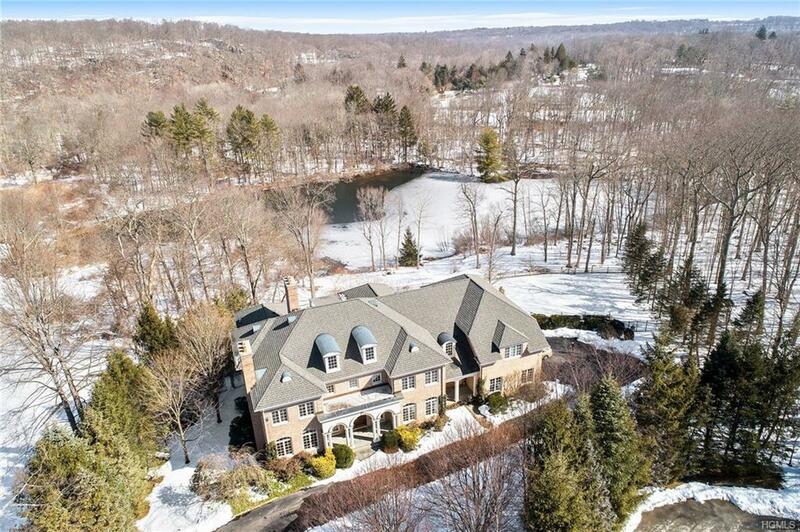 Replete with a sensational 20'x40' pool with spa, spectacular array of specimen trees, handsome stonewalls and gorgeous wrought-iron work, the property boasts breathtaking views of the spring fed lake. A property for all seasons. Enjoy kayaking, paddle board, fishing and ice skating. 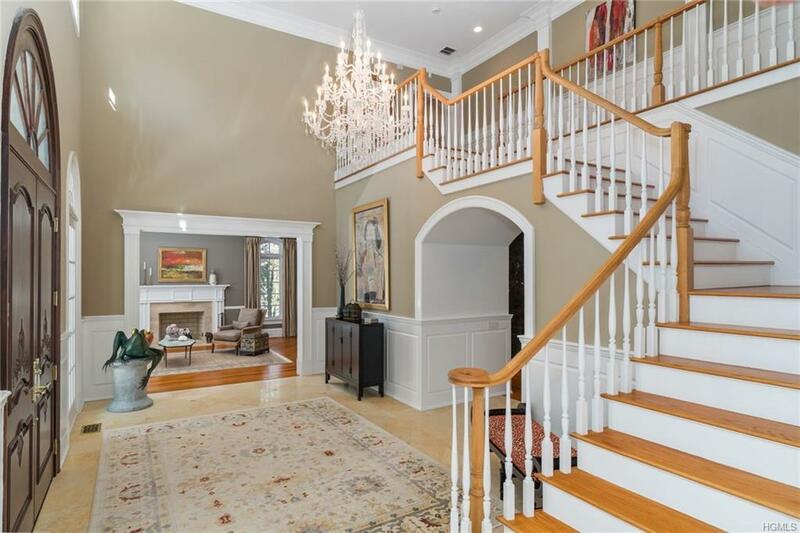 Set at the crossroads of Greenwich, Bedford and Armonk. Easy trip to NYC. See virtual tour.2019 FINAL ASSESSMENT WILL BE REDUCED TO $66,500. THE TAXES REFLECT 2018. 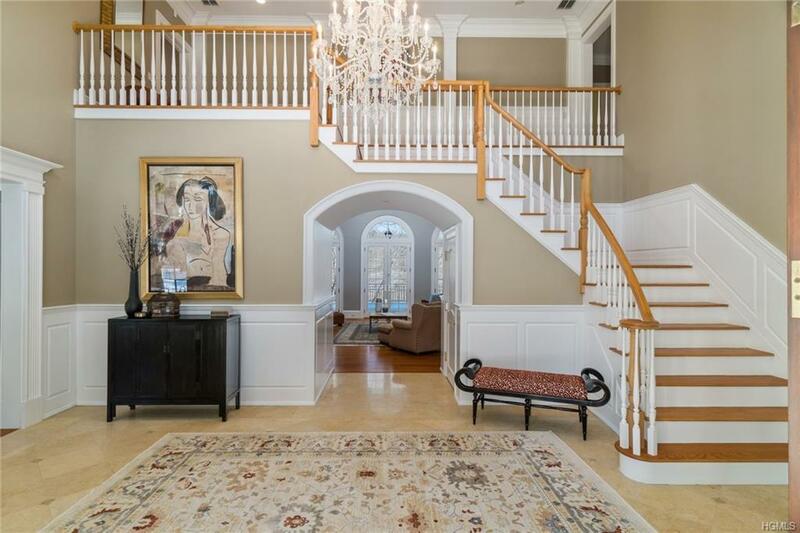 Listing courtesy of Lisa Koh of William Raveis Real Estate.